Though they’ve somehow crept into just about every facet of fashion over the last few years, we’ve never gotten on the skulls and crossbones bandwagon. That said, if we were going to break them out, today would be the day. 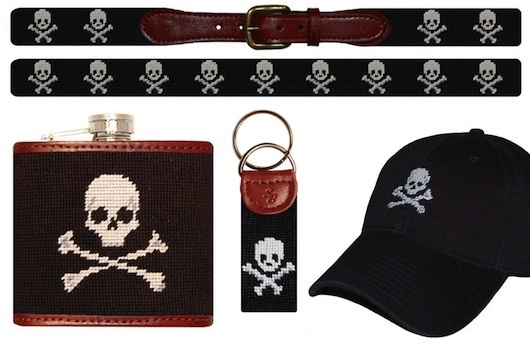 Our Halloween picks this year are the Jolly Roger options from Smathers & Branson. 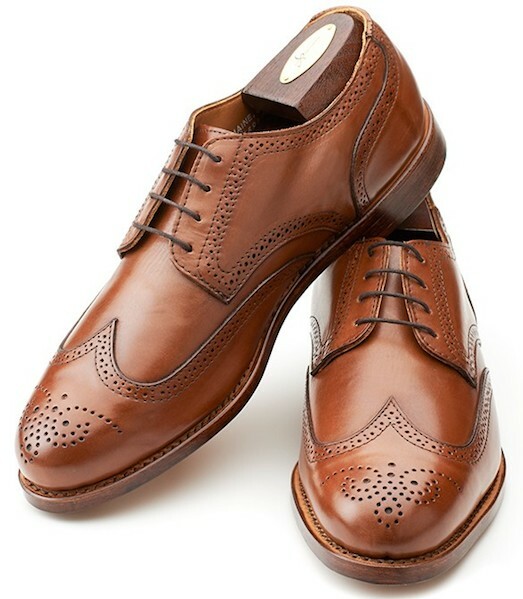 There’s just something about tying up a pair of wingtips that makes us smile. Whether they are all black with a suit, or something a bit lighter with some contrasting laces and dark denim, we tend to walk a little taller whenever we have them on. Recently, we came across what will probably be the next addition to our wingtip collection, the Blake by Rancourt & Company. Even though most of our go to hell pants have been retired for winter, we’ll still be wearing some color below the belt over the next few months. 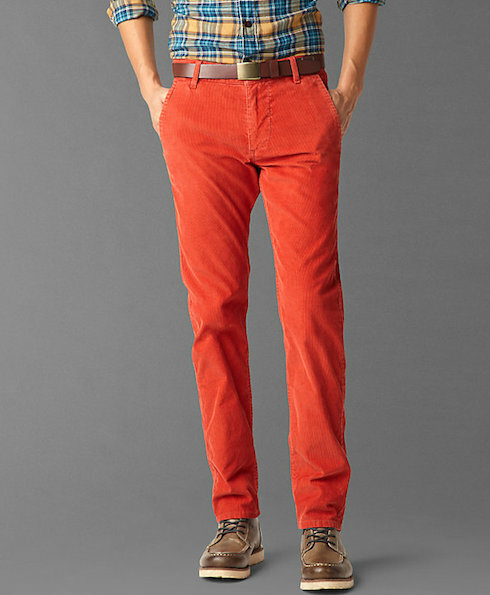 While boldly colored chinos may not seem to work in cooler temperatures, cords with some color are always a good pick. This year, we’ll be adding a pair or two of Alpha Collection Cords from Dockers to the collection. Since 1902 J. 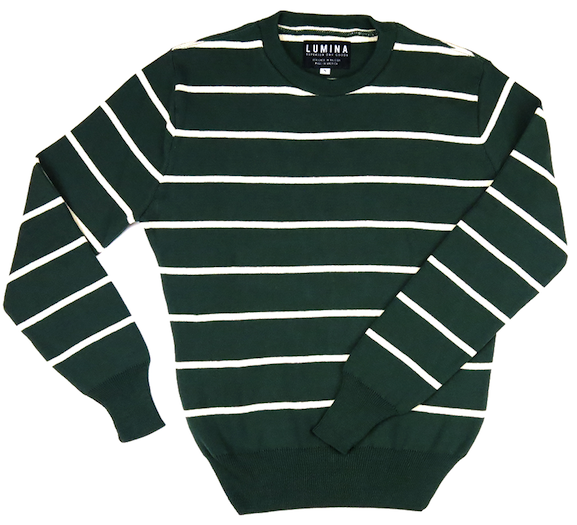 Press has been making staple pieces that have become the cornerstones of many a prep wardrobe. One of those pieces is their famous Shaggy Dog sweater. Unfortunately for some, the cut of the Shaggy Dog is pretty generous. If you’ve been hoping that a slimmer option would come to market, your prayers have been answered in the form of the York Street Shaggy Dog. 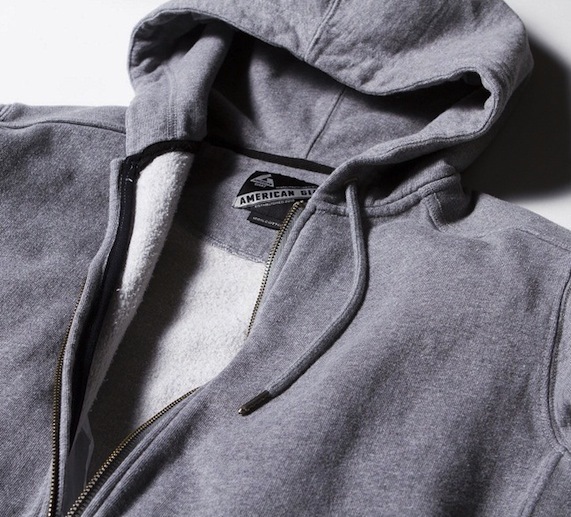 Plain and simple, you need a great hoodie. It’s been a year since we featured the Full Zip version from American Giant, and we are yet to find anything that can even come close to it in terms of quality. The feature below originally ran on October 6, 2012. Cardinal Melange Herringbone Bow by General Knot & Co.
Around here the temperatures have finally gotten low enough that we’ve had to officially retire the last remnants of our warm weather wardrobe, cotton bowties. Sure, we’ll break a few out on occasion in the colder months, but for the most part it’ll be silk and wool around our necks for the foreseeable future. Luckily, there are some fantastic heavy options out there right now. 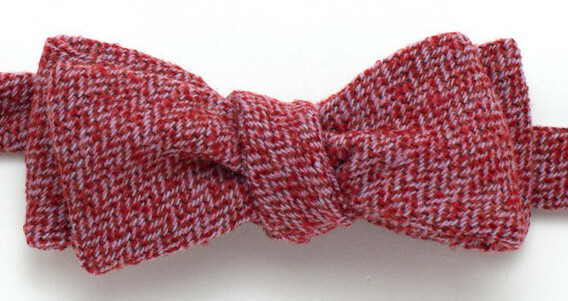 One of our favorites as of late is the Cardinal Melange Herringbone Bow by General Knot & Co. 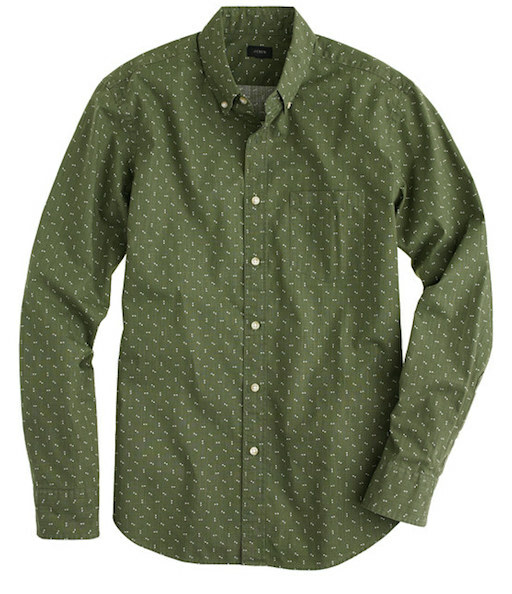 This summer, we found ourselves strangely pulled do dots, mostly small, and almost always on a navy background. Well, on a recent trip to J. Crew we spotted what may be replacing those dots this Fall. Their Arrow Print Shirt is certainly unlike any other that we own, and we have a feeling it’s going to see some serious time in the rotation in the very near future. In a very short period of time, Warby Parker has made quite an impact on the world of glasses. Their model to bring great looking, high quality frames to market at a price point that is affordable for just about everyone has spawned a number of copycat businesses, and landed them on just about every “companies to watch” list we’ve seen in the past couple of years. Shoot, we don’t even wear eyeglasses, but we’re constantly checking to see what new frames Warby Parker has out simply because they make some fantastic sunglasses too. Part of their Fall 2013 collection, the Ames frames may just be our next pair. To say Lumina has seen some serious growth over the past year would be quite the understatement. Not only has their selection of great looking shirts and ties grown by leaps and bounds, they’re also about to celebrate the first anniversary of their flagship store down in Raleigh. 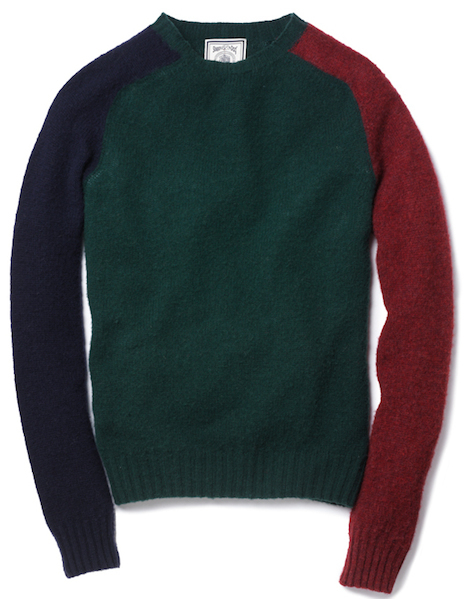 Now, after a preview run over on Huckberry, the gents down South are officially taking the wraps off of the latest addition to their collection, the Banks Sweater. From the time we were introduced to Hugh & Crye, we’ve been been fascinated by the fact that they came up with their own fit method that left us with sport shirts that were closer to custom than just about any other we’d tried on. Well, the gang down in DC has carried over their system to blazers, and we’re looking forward to adding one to our collection. 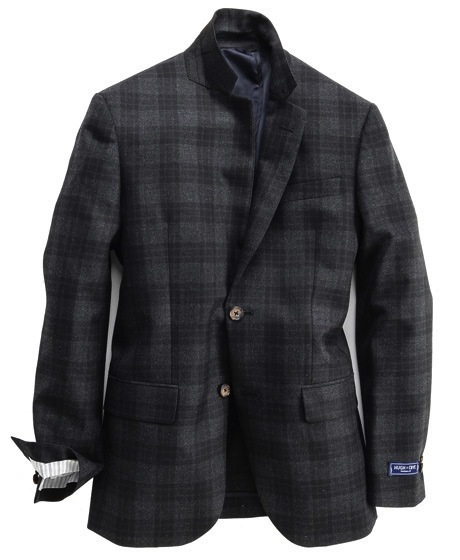 The question is, which L’Enfant Blazer should we go with?